Learning to dive is EASY and FUN! You need to be able to answer No to all questions on the Medical History Form or secure a physician’s approval for diving prior to the start of the course. The certification process consists of self-study, academic review and in pool skill development, and a minimum of four open-water training dives. All of our materials are now digital and can be downloaded and read anywhere or anytime. Traditional textbooks are also available. Academic review and skill development involves going over what you have learned during your self study through active learning with your instructor and then mastering several critical skills in the pool. 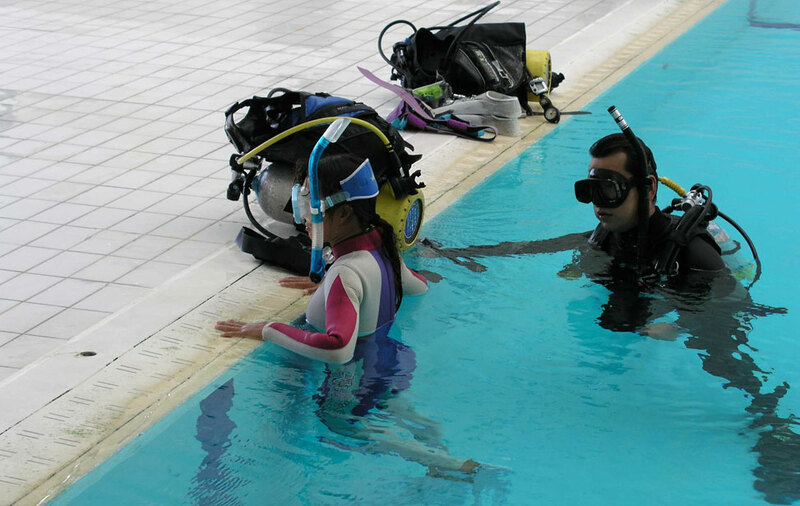 Open water training involves a minimum of four instructor-supervised dives. Academic review sessions take place at Just Add Water. Skills development sessions take place at any of a number of nearby pools. From June through October you can complete your open-water training dives at White Star Quarry here in Ohio. 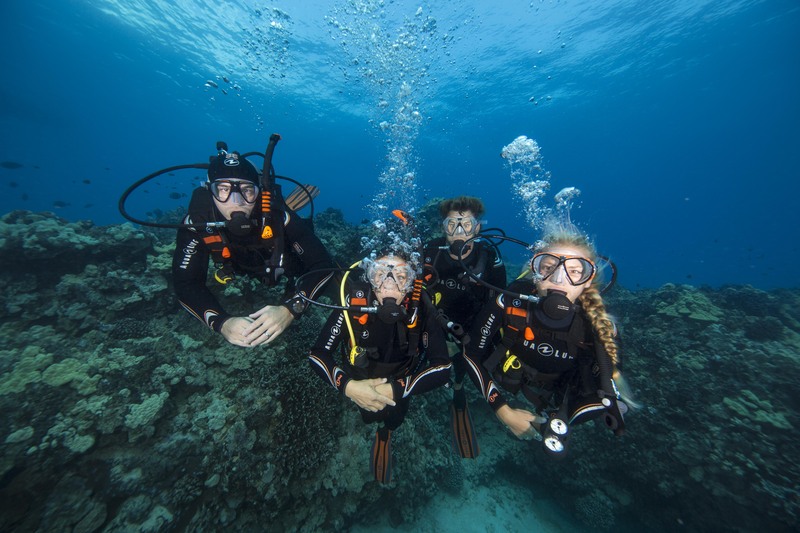 During the rest of the year, you can complete your training on one of our many group trips or at a dive destination of your choice. Option 1: Open Water Class and Pool - 2x/Week for 3 Weeks. Classroom and pool sessions meet twice a week for three weeks. Classroom typically takes place on a weekday evening. Pool sessions typically take place on a Saturday or Sunday morning or afternoon. For busy individuals who would like to complete all of the classroom and pool requirements over just one weekend, Just Add Water offers the Executive Class option. Class starts on a Friday evening, from 6:00pm to 9:00pm and then continues on Saturday morning and afternoon, and Sunday morning and afternoon. Option 3: Private Class - Your Schedule. Your Pace. With the Private Class option you will work closely with Just Add Water to choose dates and times that work best for your busy schedule. 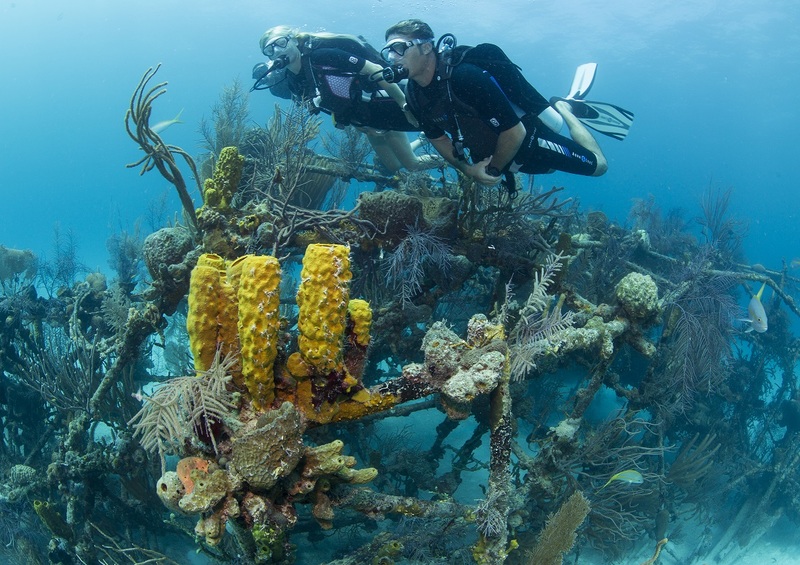 The Private Class not only offers a customized schedule, but also gives you the undivided attention of your personal Scuba Instructor, private equipment seminars, personalized travel planning and more. Just Add Water reserves the right to reschedule classes for any reason, including but not limited to, low participation, inclement weather, etc. If you have any concerns on whether or not a class will run, please contact Just Add Water. 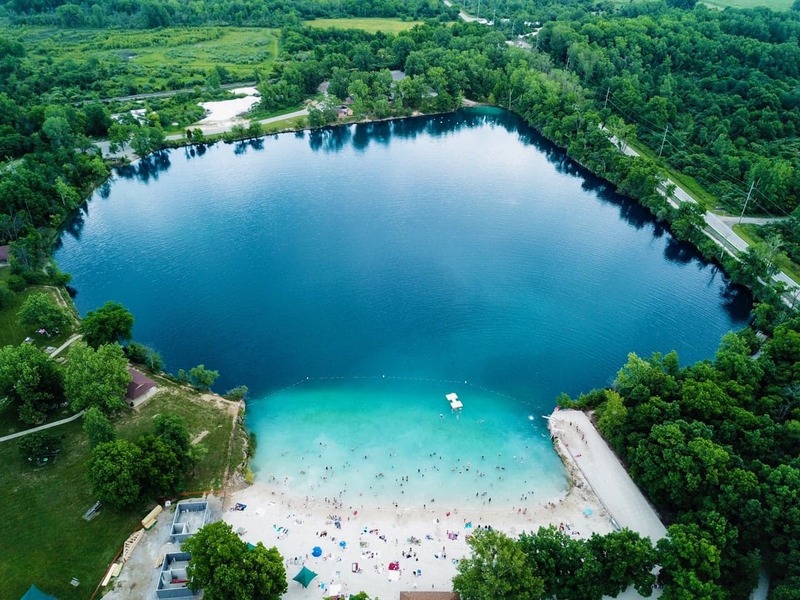 If your plan is to complete your Open Water Training Dives locally (June-October), the dives are conducted at White Star Quarry in Gibsonburg, Ohio. Training dives take place on a Saturday and Sunday - here you will complete a total of 5 Open Water dives over two days. The cost for Open Water Training Dives is $175. You will need your own mask, snorkel, wetsuit boots, adjustable scuba fins, audible and visual signaling device (signal tube and whistle) and a few other items for both pool sessions and open water training dives. These need to meet some very specific requirements, so don’t buy anything without talking to us first. If you do your open water training dives here in Ohio, you will need to supply all of the necessary equipment. Many of these items are available for rental and all are available to purchase from Just Add Water. You can sign up in person or over the phone at either Just Add Water location. If you sign up over the phone, you will still need to schedule a visit to the store as soon as possible for your personal oreintation and to pick up training materials and complete or turn in paperwork.